The story of Carlina White - - is probably far from unique, the head of an organization that searches for missing children says. Ernie Allen, president of the National Center for Missing and Exploited Children, added on "The Early Show on Saturday Morning" that White's case involves what is probably the longest span between a youngster being abducted by a stranger and the child being found. Carlina White: Finding Family "A Dream"
White, now 23, was kidnapped when she was 19 days old from Harlem Hospital in 1987, but recently managed to track down her biological family in New York, in part with the help of Allen's organization, and has reunited with them. Authorities in North Carolina say the woman who raised White has violated her probation and is believed to be on the run. A warrant has been issued for her arrest. Corrections officials tried repeatedly to contact Ann Pettway after finding out investigators want to question her in White's abduction. Pettway is on probation because of a conviction for attempted embezzlement and is not allowed to leave the state. Authorities declared Pettway a probation absconder Friday, resulting in the arrest warrant. Her name has been put into a national law enforcement database. "We definitely believe she is willfully fleeing supervision," said Pam Walker, a spokeswoman for the North Carolina Department of Correction. White had long suspected Pettway wasn't her biological mother because she could never provide her with a birth certificate. No suspects were ever identified in White's 1987 disappearance. White had been living under the name Nejdra Nance in Connecticut, then Atlanta. Her family members say they believe Pettway was the kidnapper. A case like that of White, Allen told "Early Show on Saturday Morning" co-anchor Russ Mitchell, is "very rare. Obviously, there are some high-profile cases in which stranger-abducted children have been recovered after long periods of time. Jaycee Duggard, Elizabeth Smart, Shawn Hornbeck and a few others. But it's not typical. This is the longest-term stranger abduction recovery that we're aware of." "Our hotline interviewed her, took a lot of facts, a lot of details; we developed timelines, we began to look at physical characteristics, and rule out other long-term cases, ultimately working with the NYPD (New York Police Department). 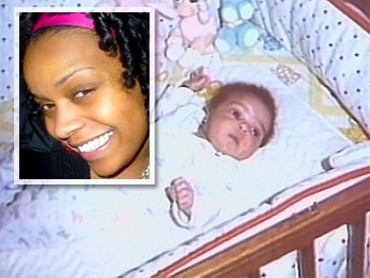 The NYPD did DNA tests that confirmed this was, in fact, that same child abducted as a 3-week-old infant 23 years ago." Allen says his organization gets calls like White's on occasion, but people in her position "typically" don't reach out. Still, "We've certainly been inundated by calls from people questioning who they are since the identification of Carlina. We want people to reach out. They should call 1-800-THE-LOST. They should go to our website, MissingKids.com, to look at these photos, and we think the general public can help us identify and reunite even more families of these long-term missing children." Allen says someone who snatches infants or newborns is most-often a woman: "Usually emotionally disturbed, trying to keep a relationship alive, bringing a baby home to keep a man in her life. So, in many ways, (Pettway) does fit the profile. "But the investigation is ongoing. NYPD and federal law enforcement are involved. We hope that whoever is responsible for this will be held accountable and brought to justice soon." Reintegration with a biological family is "difficult," Allen says. "You have to take it a day at a time. Our staff is trying to assist with [White's] reunification. But I think all signs are very positive. This is a mom who never gave up hope, never stopped battling for her little girl, and Carlina is a remarkable young woman, strong, self-sufficient, who set out to find out who she was. "All indications are the reunification of this family is very positive, and there's a great future ahead for everybody," he said.